We’ve saw how QR Codes are used in games. And QR Code technology seems to be becoming a favorite with gaming giant Nintendo. In early 2015, Nintendo first launched the Mii QR Codes. 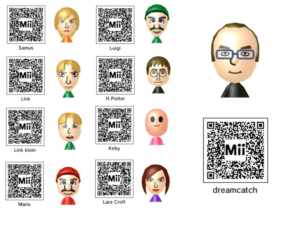 Users could create Mii, a free-form digital avatar, and share it with friends via QR Codes. 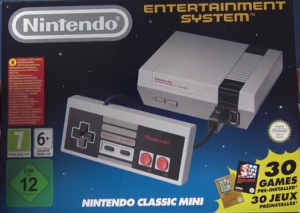 In 2016, Nintendo released the Mini-NES with 30 games. Each game featured a unique QR Code. This QR Code led the player to copies of original instruction books for each game. Come early 2017, Nintendo launched the Nintendo QR Code. Nintendo QR Code allows players a faster way to check-in to their My Nintendo website. The website contains the player’s Nintendo account details. The QR Code addition came in just before the launch of Nintendo Switch Preview Tour in North America. The tour is set to kick-start from January 13, 2017. 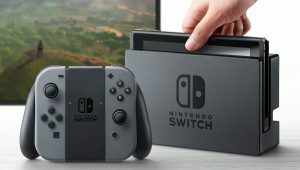 It aims at promoting Nintendo’s latest hybrid video game console, Nintendo Switch. Nintendo also announced “exclusive My Nintendo member benefits.” Players can get their Nintendo QR Codes scanned at any Nintendo event to earn extra benefits. The Nintendo QR Codes link the benefits to the player’s Nintendo account. Nintendo QR Codes replace Nintendo’s loyalty program, Nintendo Club launched in 2003. What do you think of this news? Share your views in the comments section below.